I’m now counting down the hours until the 30th Anniversary of Epcot on October 1. I’ve mentioned numerous times before how Epcot has played an important role in my life; World Showcase, in particular, has quickly become one of my favorite spots in any Disney Park (right next to the Enchanted Tiki Garden at Disneyland park). Interestingly, World Showcase was originally planned to be a separate area that would have been located near the current Transportation and Ticket Center in Florida. After several revisions to the “EPCOT Center Master Plan” in the 1970s, the area joined Future World, and has become the place where guests can play, dine and shop the world in a day. 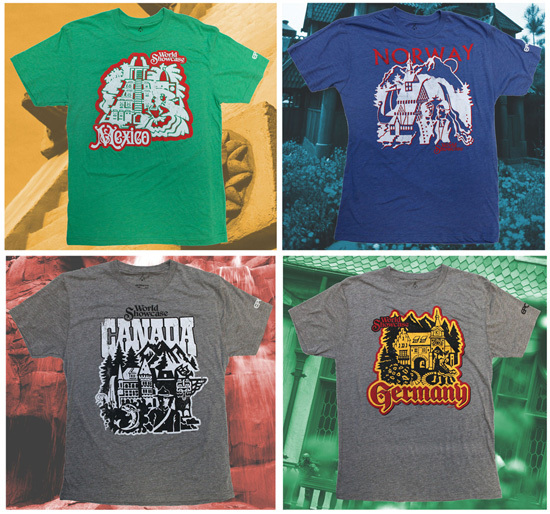 I spoke with Roger Dressen, product developer for World Showcase, about the 11 new T-shirts being released for this anniversary. You may recall that Richard also created the artwork on the Dole Whip and churros T-shirts that were introduced earlier this year. I cannot find the words to express how much I love these World Showcase designs. The shirts have an outstanding, retro look and feel which Roger explained was intentional. 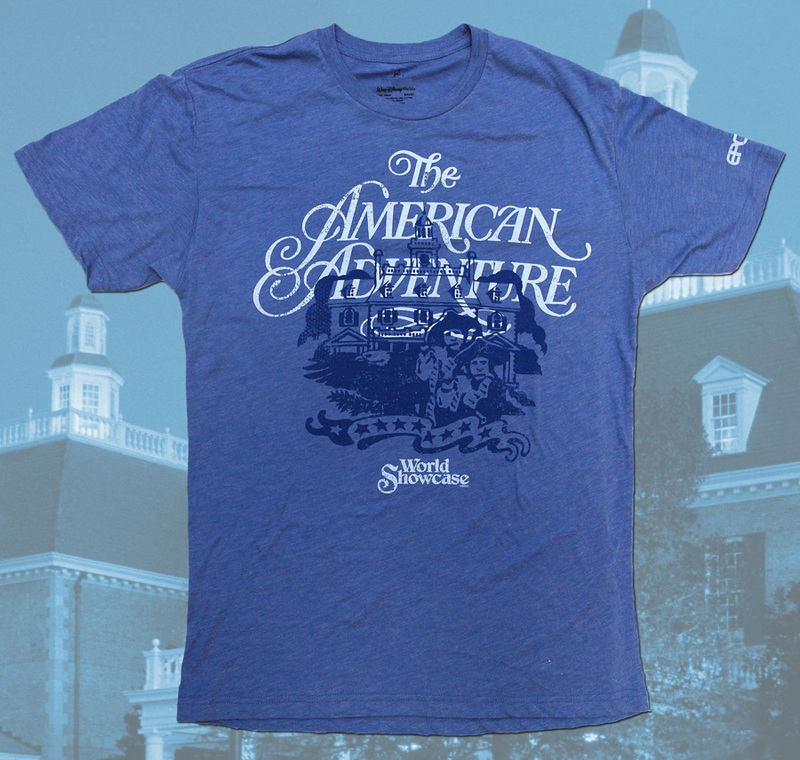 These shirts will be released at select locations throughout Epcot starting on September 28. We will also carry them via the Disney Parks online store starting the same day through October 4. Each shirt will have a retail price of $24.95.